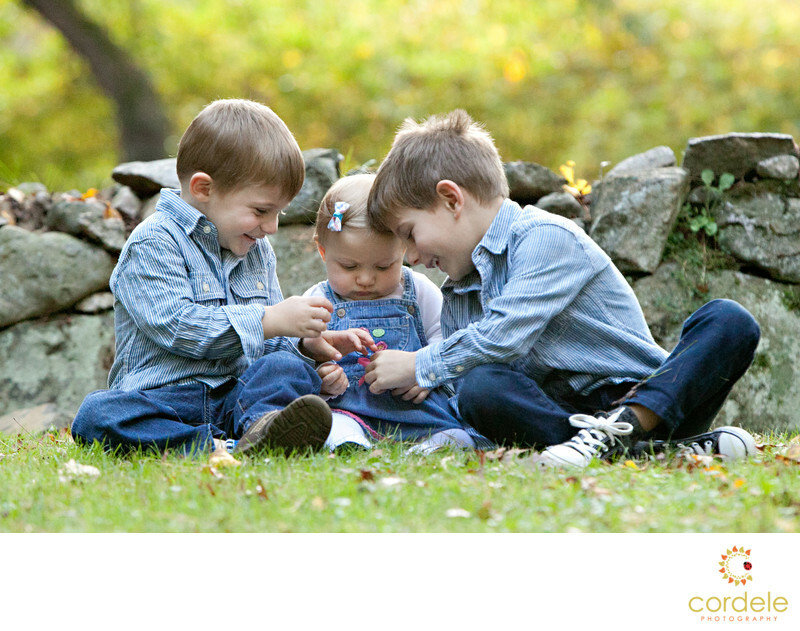 Portrait of three kids sitting on the ground looking at a bug together. This has to be one of my favorite sibling portraits I've ever taken. The mom is always nervous that her kids will not sit for me, and I won't get a great photo of her kids together. I always prove her wrong. The kids are wearing like colors and sitting up against a rock wall. I talked to them and then pretend to ignore them. As they sit there waiting for me to take the next photo I catch them all in a moment of awe. A true moment caught in time where they were all happy and being together. This is why I love being a portrait photographer. When I can stop time for a family like this, it really makes my job that much more important.